Pavers Driveways VA has been resurfacing and polishing concrete floors, cement floors, and driveways, for over 25 years. There are many options when it comes to resurfacing or polishing you concrete floor. Preparation, design, maintenance, and budget are all factors that need to be accounted for when planning to resurface or polish your concrete floor, cement floor, garage floor, or driveway. Pavers Driveways VA works closely with the homeowner to ensure the best possible job is completed and all your needs are met. Below are some factors to keep in mind while beginning to think about resurfacing or polishing. Preparation: After our contractor has determined your concrete flooring is in no need of major repairs and resurfacings or polishing is a possibility there are several things that must be done in preparation for resurfacing or polishing to begin. The concrete floor or cement floor must be thoroughly cleaned. Cleaning methods will vary based on condition of concrete. All cracks in concrete floor or cement floor will be repaired along with all other necessary repairs. Concrete will be profiled in order to create a rough texture that will allow it to bond with the resurfacing bond coat. After all the steps above have been completed resurfacing or polishing can now begin. Design: When it comes to resurfacing or polishing there are limitless options for color, texture and patterns and many different choices for patching, resurfacing and sealing systems. 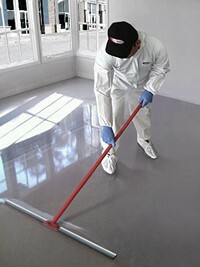 The reflectivity of the floor can also be controlled by using different levels of concrete polishing. Resurfaced or polished concrete is popular in commercial buildings because it is makes the floors easy to maintain as well as clean. 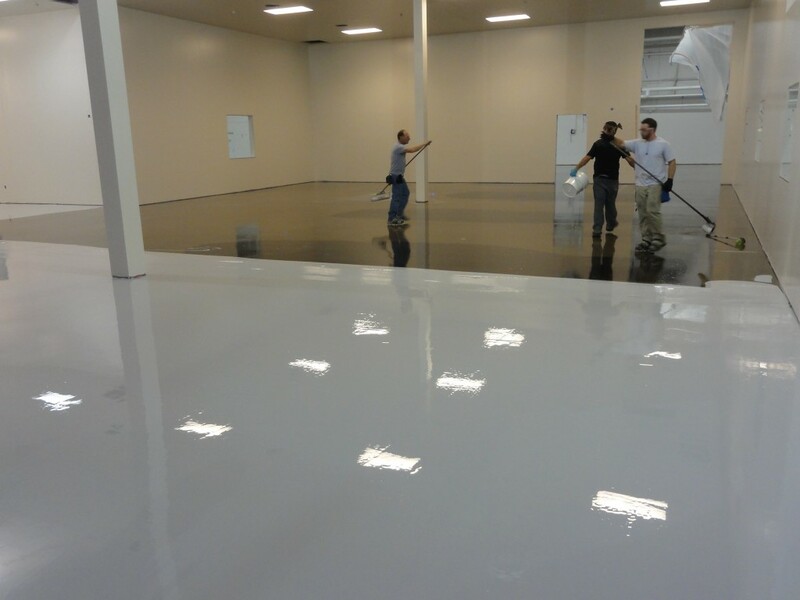 Maintenance: Resurfaced or polished flooring is very easy to maintain along with its many benefits. Minimal cleaning is required with a dry or wet mop along with usage of a cleaning product occasionally. Resurfacing or polishing allows you to save money, resources, and disposal costs. Budget: Throughout the process of resurfacing or polishing your floor you may find it helpful to compose a list of “must have’s” and “nice to have’s” which will help to guide your budget. If you aren’t happy with budget it may be necessary to re-visit your list and make some compromises in order to bring your budget to a place you are comfortable and happy with. Having an open mind when planning your resurfacing or polishing project will result in a pleasing end results that fits your needs and adds equity to your home or company.